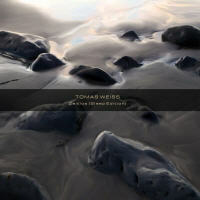 The "Sleep Edition" is an extremely limited extended 60-minute version of the last track on the original "Zeitlos" album by Tomas Weiss. We received a lot of positive feedback for this particular track. As it´s the final track on the album, several people wrote to us, saying that they wished it would never end. Also, we know that many of our customers use this kind of music for either relaxing or falling asleep. The "Sleep Edition" was originally only made for Tomas´ private music library but, for all the reasons mentioned above, he decided to make this special version available to anyone. It comes as a limited Edition Cardwallet with completely new artwork - all previous customers who bought the original album and would like to order the Sleep Edition can easily place this additional version inside the "Zeitlos" Digipak for quick access, if desired.